The summer festival of Polygyros Municipality titled ‘Summer Festival of Art and Culture’ is organised in the open-air theatre of Polygyros and other open-air venues in the region. 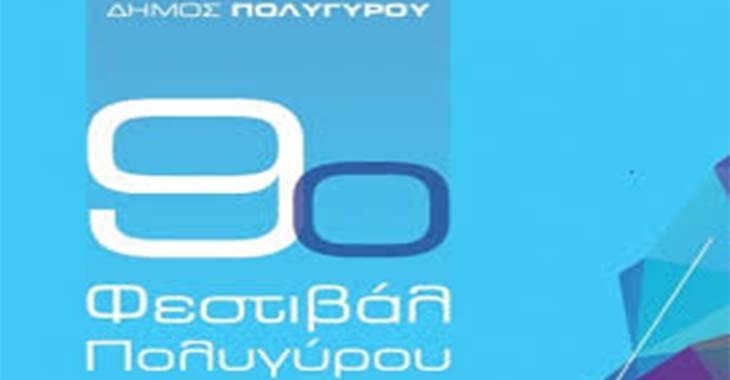 Its stage has hosted: Thanos Mikroutsikos, Dionysis Savvopoulos, Maria Farantouri, Alkinoos Ioannidis, Lavrentis Macheritsas, Giorgos Chatzinasios, Manolis Mitsias, Giannis Spanos and numerous other musicians, while audiences have applauded outstanding Greek actors, such as Thymios Karakatsanis, Vasilis Tzivilikas, Kostas Voutsas, Kariofillia Karampeti, Minas Hatzisavvas, etc. The main festival programme is supplemented by numerous side events in all municipal districts, supported by local associations and agencies.